Retiree amenity preferences shift over time. 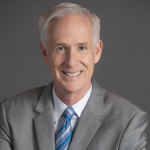 In our book Big Shifts Ahead, Chris Porter and I broke the generations into decade born because the traditional definitions involved far too many years. By doing so, we have been able to identify shifting trends more quickly. More dog parks for younger retirees. The 1950s Innovators rated a dog park as the #1 amenity, replacing golf cart trails as the #1 park amenity among those born in the 1940s. 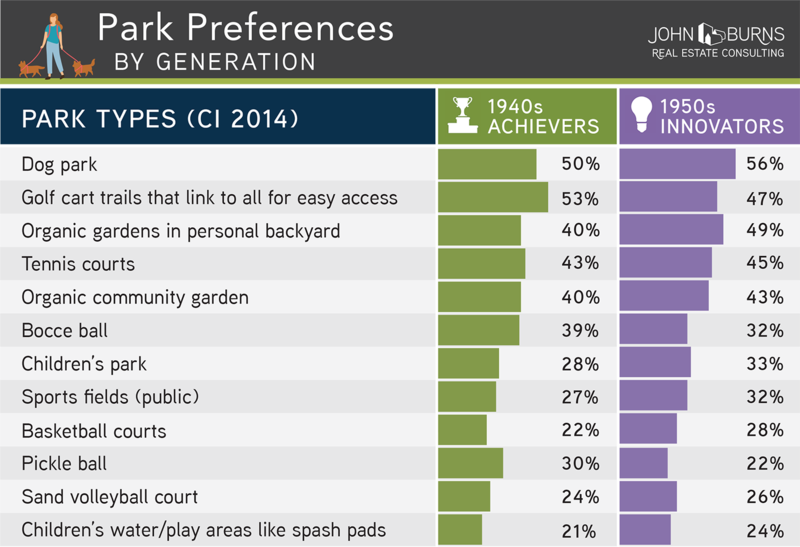 56% of 1950s Innovators want a dog park, compared to just 50% of those born in the 1940s. More organic gardens for younger retirees. Personal organic gardens surged to the #2 park request among 1950s Innovators, with 49% requesting an organic personal garden compared to only 40% of those born in the 1940s. 43% also requested an organic community garden—3% more than the prior generation. Less golf. The percent of 1950s Innovators selecting golf cart trails fell a substantial 6% to 47%. The coming generation of retirees appears to love golf a little less than their predecessors, which is something our consultants picked up on years ago. Less pickle ball. Pickle ball plunged a whopping 8% to only 22% of 1950s Innovators that want a pickle ball court. Know your target home buyer. Perhaps those amazing 1950s Innovators will love golf and pickle ball more 10 years from now than they do today, and maybe they will be less likely to take care of a dog or a garden. Nonetheless, focus on what they want today. Developers armed with this information are going to make much more informed decisions than those who are not. We are passionate about helping you make the best decisions possible.